When did animal life first appear? What did these early animals look like? 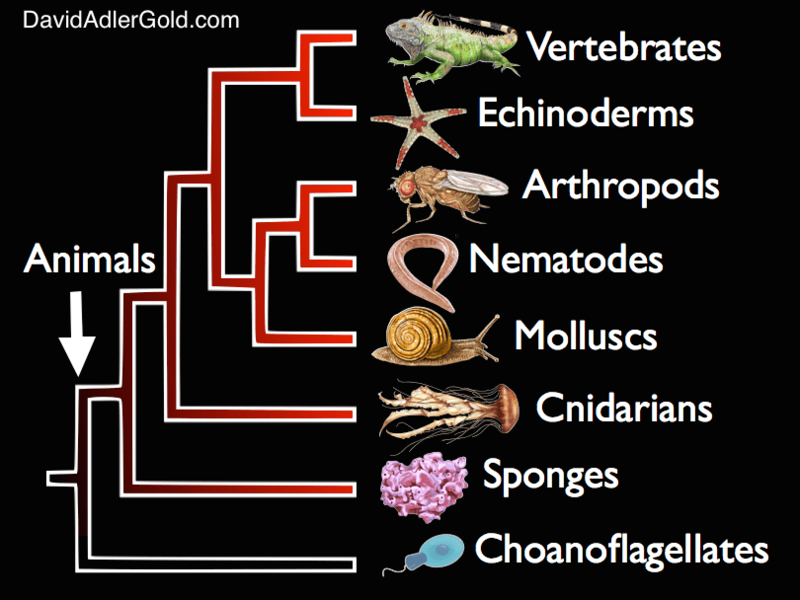 What environmental changes allowed for the evolution and radiation of animal life? I map genetic and physical traits onto these trees to study how animals have evolved over time. This work helps clarify what types of life forms ancient fossils could or could not represent. Gold D.A., Grabenstatter J., de Mendoza A., Riesgo A., Ruiz-Trillo I., and Summons R.E. (2016) Sterol and genomic analyses validate the sponge biomarker hypothesis. Proceedings of the National Academy of Sciences of the United States of America. 113(10 ): 2684–2689. Gold D.A., Gehling J.G., Runnegar B., and Jacobs D.K. (2015) Ancestral state reconstruction of ontogeny supports a bilaterian affinity for Dickinsonia. Evolution and Development. 17(6): 315-397.